Moving to Windows 10 is no longer a choice if you want a supported and maintained Windows operating system! This is because Microsoft have set the Windows 7 End of Extended Support date to January 2020 after which Windows 7 will be unsupported – which greatly increases the security risk to data and systems. Migrating to any new operating system is a major project – which makes it a good opportunity to investigate alternative approaches to end-user computing. So let’s take a look at how Desktop and Application virtualization can help with Windows 10 migration. 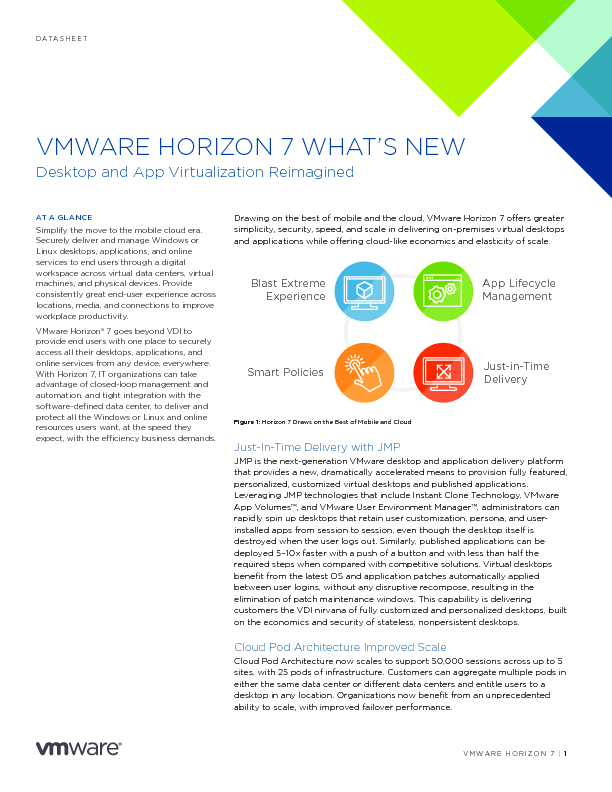 Virtualization means centralization, so everything is maintained and managed centrally. It also means the operating system, applications, and user profiles can be “layered”, so one can be updated without affecting the others. For deployment, this means the change is made once, and every user of that OS or application gets the latest version the next time they log on or launch the application. Operating system installation Run the installation on every machine’s hard disk. Build virtual desktops on-the-fly, as needed, from master images. OS patches Patch every machine. Patch the central OS master once. Application deployment Install the appropriate application set on every PC or Laptop. Track what is installed on every machine. Build “App Volumes” which make application sets available based on user role, location, device or other parameters. Application updates Identify which machines need updating, then update each one. Update the central app master. Removing application access Ensure PC or laptop is on the network and remotely initate de-install – or visit the desk. Update user role/rights centrally. Force log-off/log-on if removal is urgent. The benefit for Dell EMC customer Diakonie Stetten was clear. It found it could setup client desktops 96% faster after it had rolled out a Dell EMC virtual desktop infrastructure. Read their customer story . The most vulnerable point in a computer system is the point at which the end-user touches it! Many studies have shown that most security breaches originate at endpoints – either because of software vulnerabilities or user actions. Maintaining data centrally – not on the endpoint. Making patches and updates fast and easy to deploy. Delivering desktops to virus-resistant thin clients. Delivering a clean OS every time a user logs in – eliminating any installed malware. Securely supporting old applications on the latest operating system – for example XP apps on Windows 10. To learn more read this article on mitigating endpoint security risks with VDI. Work is now an activity, not a place. New devices and widely available fast internet access have enabled flexible working practices which drive up productivity – and are highly valued by employees. But this flexibility comes at a cost for IT. Managing and securing remote PCs and laptops, and accommodating devices owned by the user themselves all increase support workloads – and not managing them increases security risks. 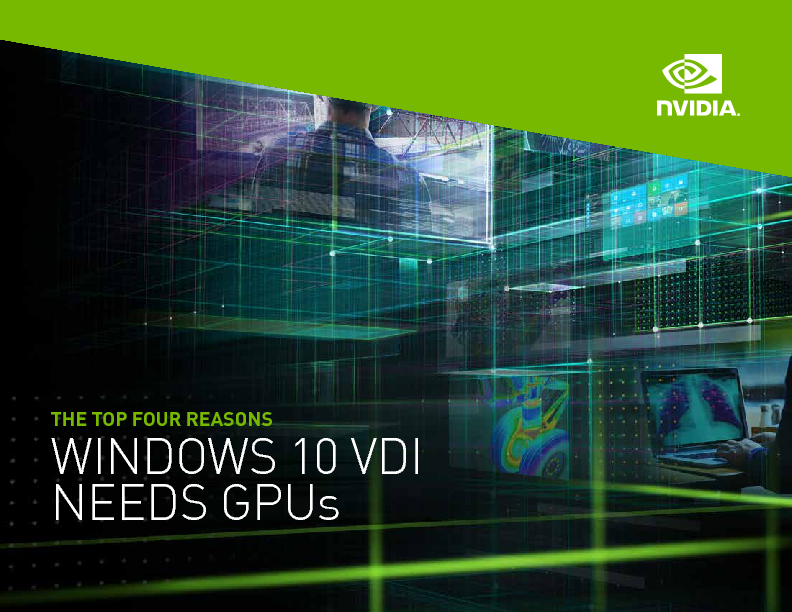 With VDI the user’s desktop or applications never leave the datacenter – but they can access them from any location with a good internet connection. Even better, they can disconnect from a desktop session in one location, then connect from another and all their documents and applications are exactly how they left them. Whether you are looking to support mobility between different offices, support users working from home, or provide secure access for contractors – a VDI solution will give you a flexible tool that ensures productive users and reduces the IT support workload at the same time. 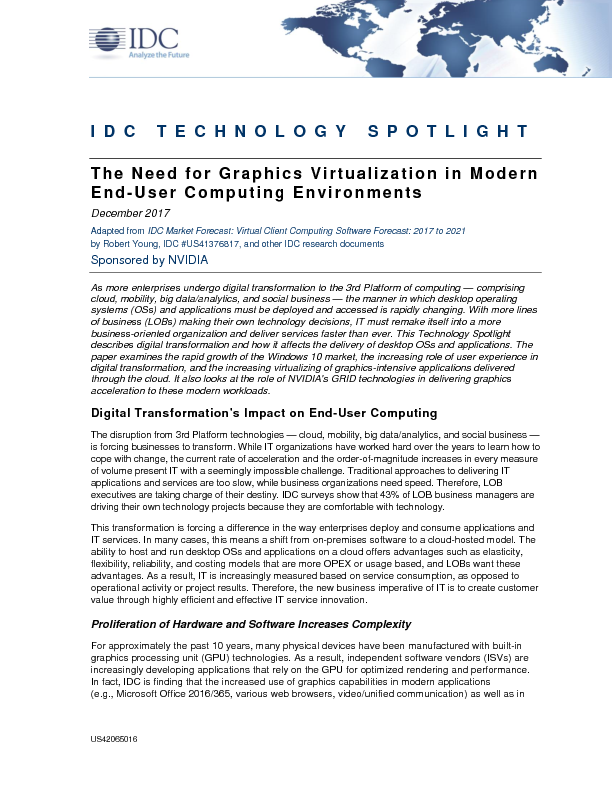 Dell EMC VDI Complete Solutions – an easier way to buy, deploy and manage VDI. 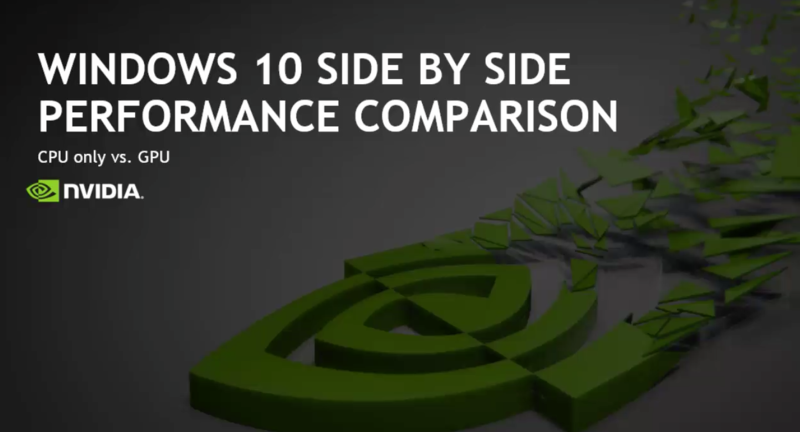 NVIDIA Grid – learn how GPU technology ensures a great user experience for Windows 10 users. Read the eBook, and watch this side by side video. 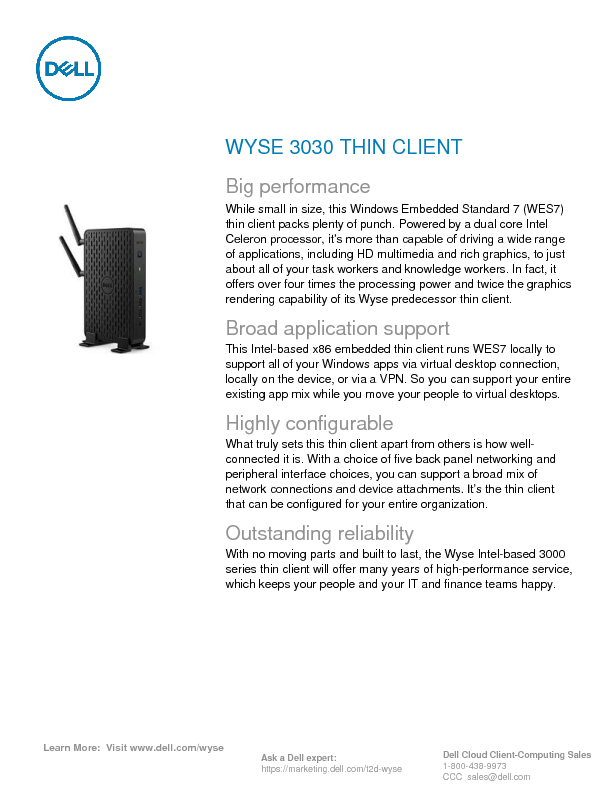 Understand the security, management and cost benefits of thin client technology. Watch this video with Dell’s Jeff McNaught – co-inventor of the thin client. Understand the options with this guide to Microsoft Windows virtual client licensing.